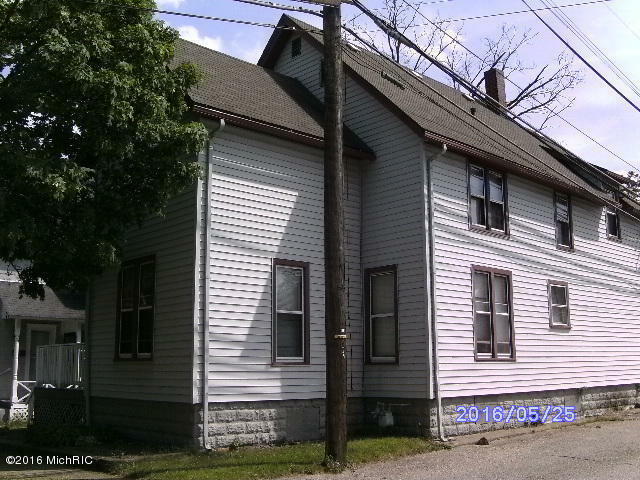 2 bedroom Duplex that could be converted back to a single family home. Great location, three blocks from Lake Michigan and downtown St. Joseph makes for a short walk. Separate electric service for each unit. New boiler hot water heating system and gas water heater installed in 2014. Roof and vinyl siding updated in 2000. Long term tenant on main floor. Appliances provided in each unit. Washer/Dryer access in basement for each unit to use. Main floor 2 bedroom rents for $600 to long term tenant, upper 2 bedroom rents for $725. Month to month lease types being used to make sale process easier for next owner.